A restaurant tucked away in an alley next to bustling Le Thanh Ton Street, Pizza 4P's, serves not only classic Neapolitan style pizzas, but also dessert menus introduced by a Japanese patissier from an artisan French sweets maker, Laduree. 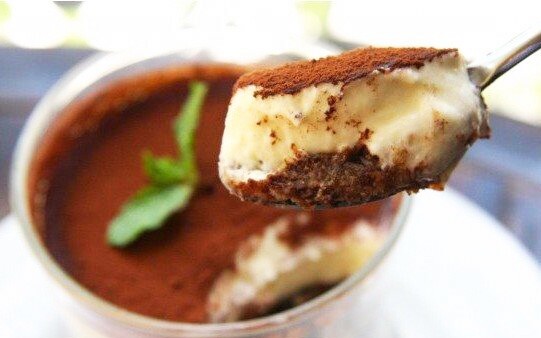 Among all the dessert menus, Creamy Tiramisu is one of the most popular desserts. A secret ingredient is the homemade Mascarpone cheese made in Da Lat. It's a perfect combination of the bitterness of espresso and richness of Mascarpone cream. In 2012, with a Japanese patissier, Ms. Miho Akita, Pizza 4P's has co-produced 9 new dessert menus. Ms. Akita learned pastry making at Institut National de la Boulangerie pâtisserie (INBP), one of the largest confectionery arts schools in France. After returning to Japan, she worked at a premium French sweets maker called Laduree that is known for a traditional style of French pastry making. 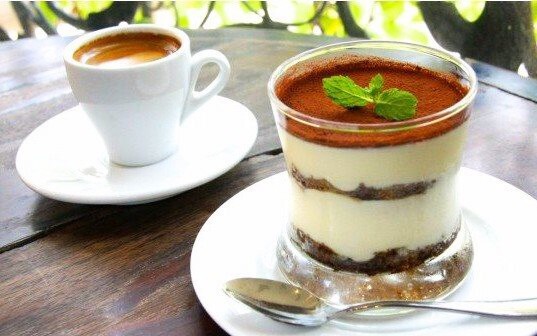 Tiramisu is a coffee-flavored classic Italian dessert. It has layers of espresso-soaked sponge cake and mascarpone cheese cream with a topping of cocoa powder. At Pizza 4P's, they lavishly use their homemade mascarpone cheese made in Da Lat. Rich and creamy Mascarpone cheese go perfectly well with the bitterness of espresso sauce. Tiramisu literally means "cheer me up" in Italian. If you had a bad day, Tiramisu can cheer you up. If you had a good day, it's a time for a treat. Tiramisu literally means \"cheer me up\" in Italian. If you had a bad day, Tiramisu can cheer you up. If you had a good day, it's a time for a treat.